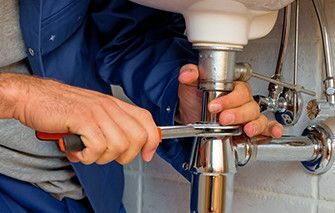 Whenever you experience a plumbing problem, you typically feel you need to take care of it immediately, and this is usually the case, however calling an emergency plumber on a night, weekend or holiday, can come at a high premium. It’s important then to know when to call, and when to wait. Flooding due to a failed sump pump, burst pipe, sewer back up, or water shut off valve failure, are all examples of plumbing emergencies. Flood damage can cause significant damage to structures and is a safety concern, therefore should be addressed as soon as possible. When a sewer line backs up, sewage sits at its back up point, creating a health hazard. It prevents the ability to use the facilities or run water, which makes living difficult as well. Not having access to running water is also a safety concern because, like a sewer back up, prevents you from using the facilities, but also effects cooking and cleaning. Frozen pipes and/or spigots lend themselves to two of the above concerns: risk of flooding and no water. If a pipe is frozen, not only is water not able to pass through it, but it expands, causing it to crack, which means once it thaws, it presents the risk of flooding. It’s important to know where your water shut off valves are located and how they work. As your plumber during his or her preventative maintenance visit to show you, if you don’t already know. If the problem can wait, then it isn’t a true emergency and you should consider the additional expense and determine if it is worth the call. Keep in mind, however, that just because your emergency plumber arrives after-hours, or on a holiday or weekend, doesn’t mean they will have access to the required parts to complete the job. A benefit of waiting for a standard business day is that plumbers then have access to supply houses which allow them to get the exact parts and supplies needed to do the job. Other than needing to order a specialty part, plumbers can get the needed parts the same day to do a repair job. If you are looking for an emergency plumber, or standard preventative maintenance service, Sunshine Plumbing, Heating & Air can help. Call anytime, day or night, to determine the best course of action for your specific concern.